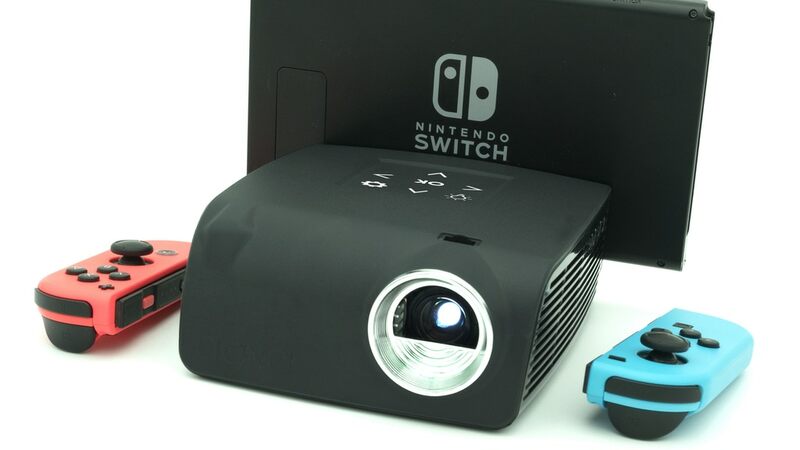 The AAXA S1 Mini projector transforms the Nintendo Switch™ from a 6” single-player screen to an enormous 100” multi-player screen that is portable – allowing gamers to game anytime, anywhere. The AAXA S1 was conceptualized when AAXA’s engineers watched 4 children struggle to play a racing game on a 6” screen at a crowded airport – an endeavor that ended with some shoving and tears. The AAXA S1 solves this problem by providing a mobile big-screen for the Nintendo Switch (and Android phones) allowing all gamers to enjoy playing without eye-strain, neck cramps, or shoving! This actually looks a lot better than that other Switch-specific projector we&apos;ve been seeing. I agree.. If they can pull it off, may get one.